Pollen is a fine powdery substance, typically yellow to yellowish in nature, consisting of small microscopic grains discharged from the male part of a flower or from a male cone. Each of these tiny grains contain a male gamete that travel through the air, landing then fertilizing the female ovule. 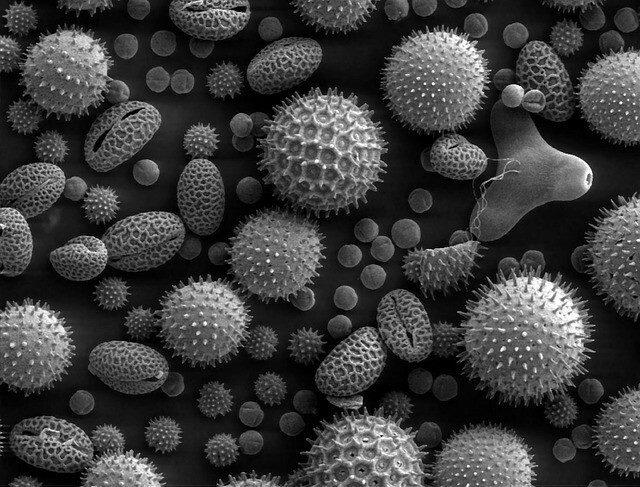 Pollen is transported by the wind, insects, or other animals. …including our hair, clothes and shoes as we walk into our homes. To give yourself some relief while indoors It would be a good idea to hire a professional carpet and upholstery cleaning service. Also clean and mop all hard surfaces and dust your other furnishings each week. Should I open my windows today? Well, if you have allergy issues or upper respiratory problems then a high pollen count day will not be a good day for you. As a matter of fact below you will find free resources and apps that Will Notify Your Pollen Forcast on High alert readings for the day or weekfrom your own home town or city. This FREE national and local pollen count service offered by Pollen.com enables you to not only see what the pollen count is throughout the nation, but also provides you with a full five-day forecast for your local area. At a glance you’ll be able to see “Today’s Worst Cities” for pollen type allergies, as well as “Today’s Best Cities”. It also gives you the opportunity to sign up for their 2-day allergy alert email service. 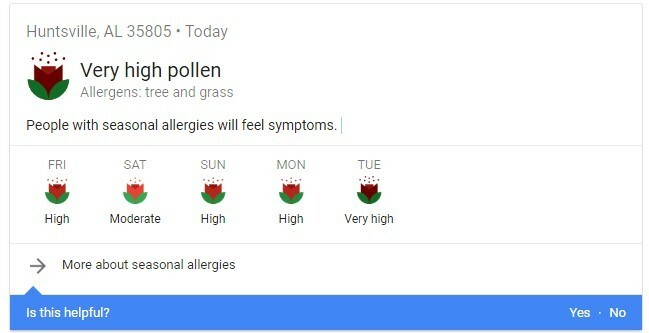 Allergy forecast information could be easily obtained from the Pollen.com allergy service by simply clicking on the map, selecting a state or entering a ZIP code. 6A 5-day allergy forecast will be provided that details the predominant pollen in the area and what to expect for much of the week ahead. Allergy Pollen Count apps like te ones above give you pollen and mold counts based on actual air sampling. These samplings are done by Pollen Certified Counters of the National Allergy Bureau (Part of the American Academy of Allergy, Asthma & Immunology). If you’ve been told you have a pollen allergy, then you’ve had an allergic reaction to the fine yellow powder that comes from the budding male plants during not only the Spring season but perhaps any time during the year. That’s right, read about it below. Did you know the actual allergy to pollen is called hay fever? Hay fever is caused when pollen is dispersed through the air and gets into our eyes, respiratory systems and membranes. Because pollen is fine, it can be carried for great distances through the air stream. It also is easily inhaled as it comes in contact with your nose, mouth and nasal passages. If you believe that you may have a pollen allergy throughout the year, you may be right! You may also be affected by pollen in different allergy seasons from various different type of plants. Spring blooming plants include oak, hickory, birch, pecan, and even certain type grasses can produce pollen. If it is late summer or fall, then most likely you are affected by ragweed as well so be super aware and stay off the trails. The allergy experts have tests they can run to determine which type plants in your area are high alert ones for you. Pollen allergies can trigger allergic reactions, which affect the sinus and respiratory tract of those with this allergy problem. Symptoms can include watery eyes, itchy runny nose, rhinitis, sore throat, coughing, increased mucous, headaches and even life threatening attacks from asthma. One of the best ways to combat pollen allergies is to understand which pollen you are allergic to. An allergist specialist can easily test you for various types of trees, weeds, and grasses, and provide you with a list of pollen that affect you adversely. Search Google for more specific plants in your area. Depending on where you live, your individual sensitivity may differ dramatically. If a person lives in a geographic area that has hot, dry, windy days, then there is more of a chance that pollen is in your local air’s enviroment. Whereas if you live in areas where the air is cooler with lots of rainy days, then the pollen is washed to the ground and is far less likely to affect you. By understanding the pollen count levels and receiving lighning fast alerts in your area you’ll be prepped to combat pollen allergies before they come on you. They say there is no hay fever cure but below is an awesome site to help you find allergy relief! Pharmaceuticals pack more punch, but if you want to use natural remedies for allergies, butter bur has the best track record among herbs used for pollen allergies (it’s also a known headache remedy), David Rakel, MD, founder and director of the University of Wisconsin Integrative Medicine Program, told WebMD. The best way to avoid getting hit with pollen hay fever is getting the app to be notified locally of heavy outbreaks and stay indoors for the day. 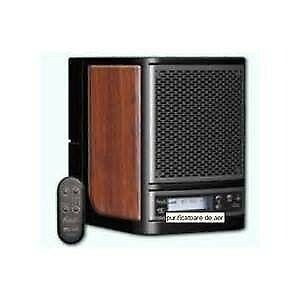 But for indoor relief I highly suggest an Alpine Air Purifier! Why an Alpine? These air cleaners and purifiers work just like nature, reaching out to cleanse your air instead of relying on the air to come to it. Ozone and ionization is exactly how nature cleans and purifies our air each and every thunderstorm. Not only will an Alpine air cleaner give you relief from upper respiratory problems but also annihilates any indoor odor in as little as fifteen minutes from turning it on. I love the fresh smell in the air of my home. As soon as I enter my home I am greeted with wonderful mountain fresh air every day. Click link below for how to enter Alpine’s monthly drawing for a chance to Win an Alpine LA 3500 air purifier. This purifier can cleanse up to 3500 square foot homes. Make your home safe to breathe during high pollen count days! Alpine Air purifiers are simply the best machines to relieve pollen allergy symtoms and lots more… I’ll never part with mine.